I am writing this on a morning when Imagine Dragons appeared in concert on the Today Show. 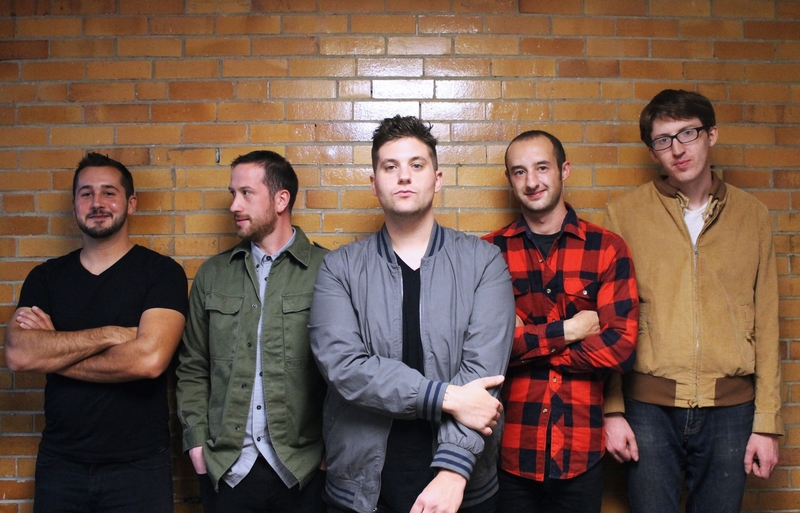 Ottawa is far, far better than them--stronger musically, lyrically, and stylistically. They’re a new band, having formed on Cleveland’s west side in 2014, although the musicians themselves aren’t brand new. 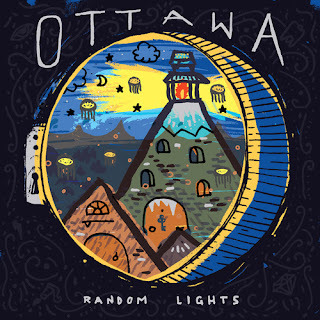 Random Lights is their first release, and it’s a fine one, reflecting influences as various as Fleetwood Mac and Oasis, as well as the inevitable Black Keys. The result is a sound that is pop-oriented rock with an edge, part blues and part punk, taking them to a level above many other groups. They have a several things going for them. First is some excellent material to work with. The songs are really good, all original, with excellent lyrics, sophisticated structures, and nice hooks. A great example is the title track that starts off the album, with its upbeat, insistent rhythm, slightly punkish attitude, and tempo changes and bridges that are consistently interesting. Other songs follow suit, without seeming imitative. Second is Dale DeLong’s vocals, which are not exactly pretty, but highly appealing, and help to sell the songs. He strains at the lyrics, wails a bit, and has a ragged edge (a higher-sounding Billy Idol?). He certainly holds the listener’s attention. The harmonies are good too, especially noticeable in “Tarantino” and “Tempo,” two songs that I find highly appealing. Enormous energy is the third quality, as exemplified by the second track, “The Good Kind,” and its overpowering sound. Finally, the musicians are very capable, with Tim Czajka’s guitar the most noticeable ingredient here. His guitar breaks and punctuation are memorable, stabbing and slashing, and adding to the high energy delivery. The band itself is tight, and the rhythm section is strong. They know what they want to do and do it in a way that is both efficient and organic. They sound like they’ve been playing together for years. A couple of tracks fall flat for me. “Blondie” is the closest thing to a ballad, and doesn’t move me the way most of the other songs do. “Separator” sounds like Black Keys lite, and the lyrics seem less interesting than the rest of the songs here. Those quibbles aside, the band has done a remarkable job for a debut album. This is music that can stick in your head, which is the key to rock music that lasts. 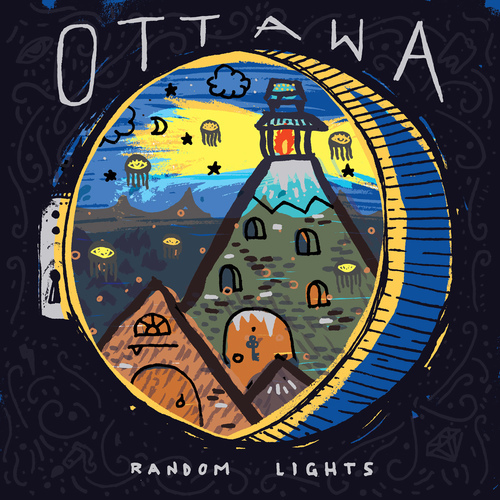 Ottawa will be playing at the House of Blues in August. Catch them when you can. Personnel: Dale DeLong (vocals), William Hooper (guitar, piano), Tim Czajka (guitar), Chris Williams (bass), Steve Crobar (drums), with additional instrumentation by Suzy Scullin and Jim Stewart. Tracks: Random Lights, The Good Kind, Lie to Me, Separator, Tarantino, Tempo, Dodge City, Blondie. 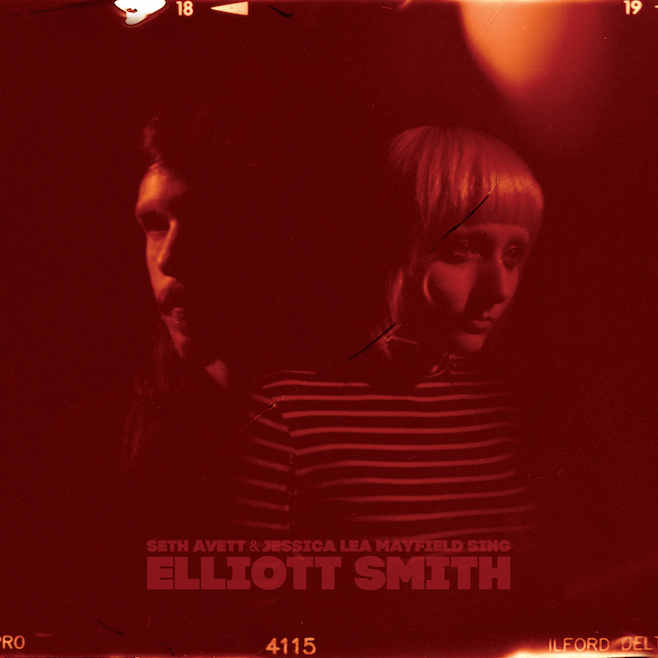 Seth Avett & Jessica Lea Mayfield Sing Elliott Smith. Seth Avett & Jessica Lea Mayfield. Seth Avett & Jessica Lea Mayfield Sing Elliott Smith. Elliott Smith is a classic story in tragedy. A singer-songwriter known for his songs of loneliness and desolation, his death in 2003 has sparked numerous musical reactions, including tributes of various sorts (including pianist Christopher O’Riley’s Home to Oblivion) and an upcoming documentary on his life. Here, Avett and Northeast Ohio native Mayfield team up to do their version of a dozen of his songs, and it’s unlikely that a more appropriate duo will repeat or surpass this album. They capture the essence of Smith’s work and add their own spice to it, creating something new and sparkling in the process. I must confess that I have never been a big fan of Smith, and I suspect that it had to do with his singing. Some excellent songwriters deliver their music in a way that I enjoy (Gordon Lightfoot), and others not so much (Joni Mitchell). Others will, of course, vehemently disagree. Dylan, anyone? Part of Avett & Mayfield’s success is in their approach. Both singers express themselves in a style similar to Elliott, which certainly helps. Mayfield’s previous albums as well as those of the Avett Brothers, while coming in some respects from a different genre (they’re more Americana, Smith is more alt.rock and unplugged grunge), there’s a meeting place with these ballads. They get the music and the feeling. Another aspect is their voices, separately and together. Each brings something Smith-like to the table vocally, whether Avett’s light and airy tenor, slightly stronger than Smith’s, or Mayfield’s ethereal voice that brings out a different quality to the music. Together they harmonize beautifully, adding a dimension that Smith generally created by overdubbing his own voice. To me, Seth Avett sounds eerily like David Mayfield, Jessica Lea’s brother, which could be why the harmonies sound great, but also familiar. The arrangements are generally faithful to Smith’s work, with some changes that seem appropriate. They rock out a bit more “Roman Candle,” and it sounds great. They take the piano jauntiness out of “Baby Britain,” but add some gorgeous harmonies, and I have to say I prefer theirs over his. Actually, I can say that about most of the songs, which display stronger vocals, more varied instrumentation, and a fuller sound in general than Smith’s originals. Elliott Smith purists may not be so fond of these remakes of some of his classic songs (“Miss Misery” is not among them). Others may discover Smith’s music who (like me) had overlooked him before. This is an excellent album, and I recommend it for both Smith fans as well as fans of Avett and Mayfield. Personnel: Seth Avett (vocals, guitar), Jessica Lea Mayfield (vocals, guitar), Paul Defiglia (bass), Joe Kwon (cello), Tania Elizabeth (violin, viola), Scott Avett (banjo). Somebody plays piano. Tracks: Between the Bars, Baby Britain, Fond Farewell, Somebody that I Used to Know, Let’s Get Lost, Twilight, Ballad of Big Nothing, Angel in the Snow, Pitseleh, Angeles, Roman Candle, Memory Lane.